This adventure pak is everything you need for great adventures in nature. Perfect for backpacking, hiking, camping, and all forms of exploration. 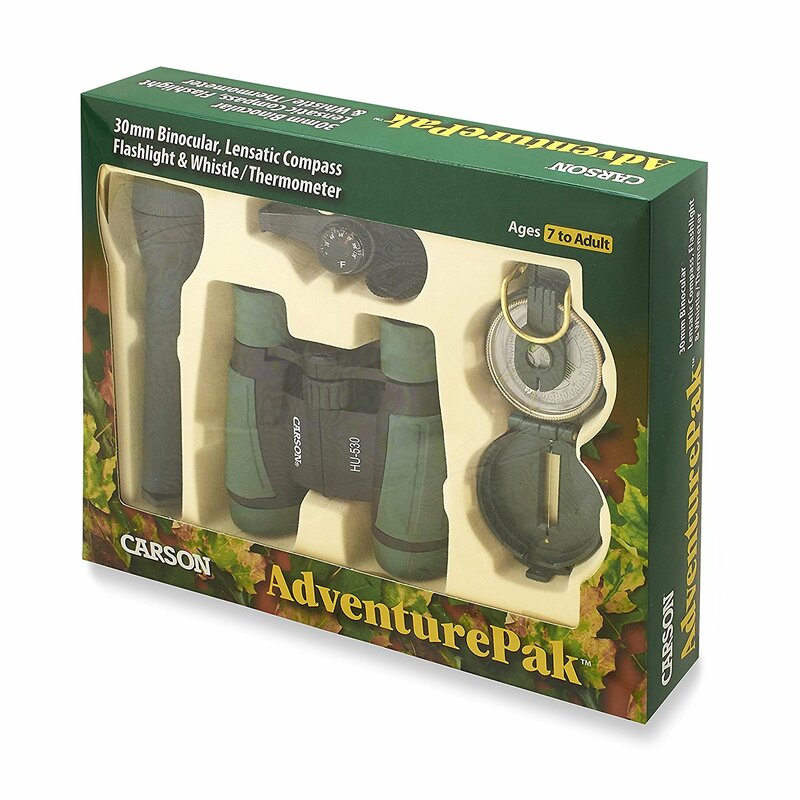 Includes a compact 5x30 mm binocular, flashlight, lensatic compass with true hand-bearing triangulation capabilities, and a combination signal whistle/thermometer. 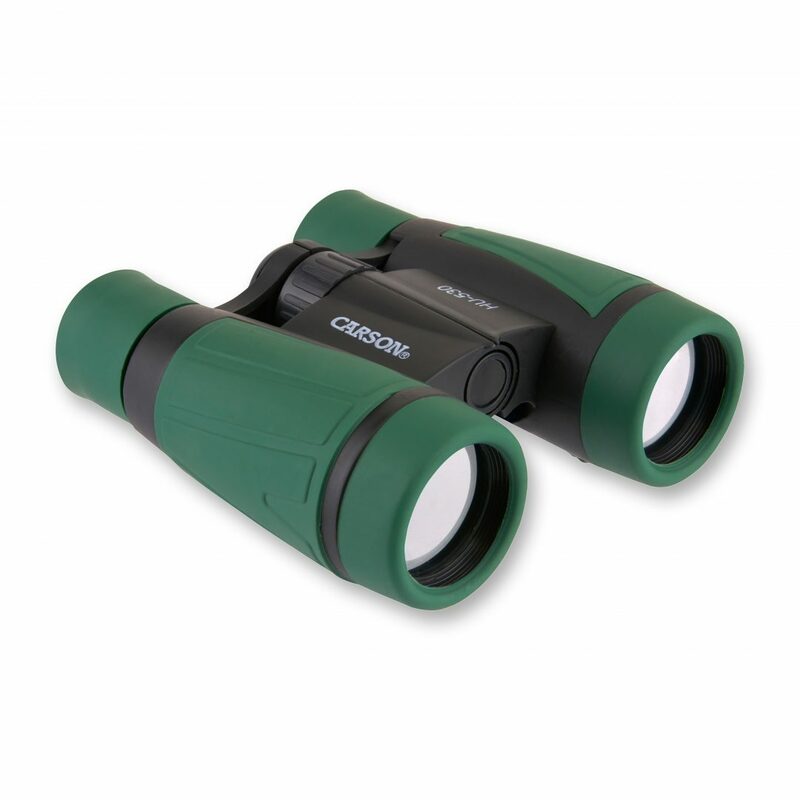 Binoculars feature BK-7 prism type and field of view of 312 ft at 1000 yards. Includes a lens cloth, pouch, and strap. Requires 2 AA batteries (not included). For ages 7 - Adult.